There are few people in our industry who are as accomplished and respected as Deborah Lee James. Currently, she leads DLJames International LLC, a strategic advisory firm. Additionally, she is on the Board of Directors for Textron Inc., Unisys Corporation, Noblis, Inc., The Atlantic Council, and MKACyber, Inc. She is a Special Advisor at Bain & Company and a Senior Advisor to the Center for Strategic International Studies (CSIS). Previously, James served as the 23rd Secretary of the United States Air Force. Serving our country in that role through January 2017, she led 660,000 military and civilian personnel and managed a budget of nearly $140 billion. 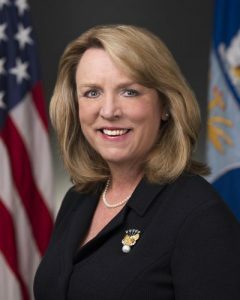 Prior to her tenure with the Air Force, James was the President of SAIC’s Technical and Engineering sector, a $2 billion, 8,700 person enterprise. In addition to James’s 35 years of experience in both the public and private sectors, she serves on numerous non-profit Boards of Directors. The boards she is on include the USO, the Tragedy Assistance Program for Survivors (TAPS), and is the Chairman of the Advisory Board for the PenFed Foundation. TeraThink has made strong strides to becoming one company since merging with Dominion. We’ve combined our service offerings to leverage our combined strength to provide greater value to our clients. Additionally, we have integrated our operations, streamlining processes for our clients and staff. The addition of James to our board is just the latest step in building the new TeraThink. With her guidance, we are excited to move forward towards a stronger future for ourselves and our clients. Look for additional announcements in weeks and months to come.